Christian Authors Network members events, books, interviews, speaking that are in the news with big media outlets like radio, TV, newspapers. But not blogs. Advent and Mysteries and Websites–Oh My! Exciting things are happening with our CAN authors during this advent season! Here’s the latest news from authors you love. 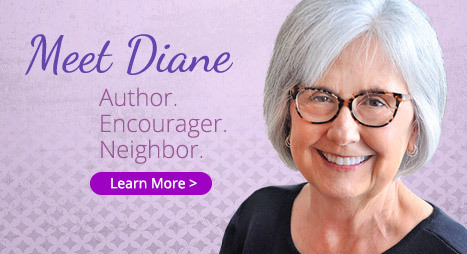 Diane Stortz speaks Saturday, December 2, at Celebrate the Light, a Christmas dinner with the women of First Christian Church in Washington, Missouri. On December 9, she’ll be reading and signing I AM and the I AM Devotional at a children’s story hour at Belong Christian Store in Mason, Ohio. The Bunco Biddies are back in Book #3- Threes, Sixes & Thieves by Julie B. Crosgrove. In Bunco, when someone rolls three sixes, the game is over. When burglars target homes in Sunset Acres with three and six in the house number, one finds the game is over for him when he is caught, thanks to Janie and her Bunco playing buddies. But when he is found hanged in his cell, the game is afoot once again. Launches December 8th, but you can preorder it for your Kindle now. Doesn’t it deserve a present this season? Award-winning cozy mystery series, yet each novel stands alone. Follow these quirky and active seniors as they help the police solve the crimes, whether the police want their help or not. And here’s an enthusiastic review of the book from The Garden Window. Unfortunately I was too late to review this last year, but liked it so much that I was determined I would review it for this coming Advent! From the highly appealing cover to the very last page, this book is crammed full of wonderful activities, ideas, hymns, songs, prayers, points to ponder, bible verses to study, Christmas facts and ideas on how to implement the Christmas message into everyday life in Advent. The very first activity is to make your own Advent wreath from scratch. This does involve some finicky work on the part of a helpful adult/parent/godparent, but very complete instructions are given, and this wreath then sets the scene for the rest of Advent. This is an ideal book for families with young children, but there is no reason at all why the ideas and activities could not be slightly adapted for older children too, and if I am absolutely honest, this is the sort of book I would be perfectly happy to buy and use just for myself. There are lots of craft activities to make and do, with reproducible templates to be photocopied and then cut up, coloured in etc. Make garlands, snowflakes, Christmas gift tags, Jesse tree ornaments, cards, quick Christmas breads and so much more, all with Christian symbolism and messages to enjoy. This is a most welcome addition to my Christmas collection. Craig von Buseck has been named Senior Editor for digital content at Inspiration Ministries in Charlotte, North Carolina — the parent company of Inspiration TV, a Worldwide Christian Network, and the INSP Cable Network. Craig will oversee the content for Inspiration.org, the official website of Inspiration Ministries. He will also work with team to merge Inspiration’s video and print content into a newly designed website to launch in 2018. More exciting developments will be announced in the coming months. Please watch for opportunities to submit family-friendly content from a biblical worldview. CAN Authors About Town, Out of the Country, and Releasing New Books! From celebrating authors abroad to books available in languages abroad…check out what’s happening with some of our CAN authors, including new releases, speaking engagements, and book signings. Davalynn Spencer will be signing her latest release, The Canon City Chronicles, from 5-8 p.m. Friday, Dec. 1 at Tailored West fashion boutique, 502 Main St. Canon City, CO. She will also be in-store Saturday Dec. 2 from 10 to 5 and Sunday Dec. 3 from noon to 4 p.m.
Award winning author Lena Dooley is releasing Brides of Minnesota on December 1. Available now for preorder on Amazon and Christianbook.com at a reduced price, just in time for Christmas! Susan was also on Scott McCausey’s radio show “Speak Up!” Check it out here: http://www.blogtalkradio.com/christian-devotions/2017/11/14/marriage-preparation-with-susan-mathis-on-christian-devotions-speak-up. Cindi McMenamin will be the keynote speaker for the Mission Hills Christmas Women’s Brunch on Dec. 2, 2018 at Mission Hills Church in San Marcos, CA. Her message is titled “Celebrate the Savior.” Come visit if you’re in the area! Cindi’s recent release, 10 Secrets to Becoming a Worry-Free Mom (Harvest House Publishers, 2016) is now available in two other languages: Portuguese and Korean. And Cindi’s bestselling book from Harvest House Publishers, When Women Walk Alone (more than 125,000 copies sold), is now available in four languages, including German, Spanish and most recently, Portuguese! Karen Whiting talks about how employers can use her new book on communication for teens as they mentor younger workers. Dr. Glahn was quoted talking about Texas evangelical women in the October issue of Texas Monthly magazine.